Toyota Motor Sales, U.S.A Inc. is the Toyota sale and promotion company which supplies ancillaries to the United States mart. Established in 1957, TMS presently provides work for more than 6,500 individuals. Its headquarters is situated in Torrance, California. TMS supervises sales in 50 states of Toyota, Scion and Lexus goods via a group of over 1,200 Toyota traders and over 200 Lexus traders. TMS expands Toyota's television crusades and other countrywide promotion supplies, and oversees trader advertising to guarantee that dealers present a standard illustration. James E. Lentz III is the head of Toyota Motor Sales U.S.A. There are currently 5 consumer reviews about Toyota Motor Sales, U.S.A., Inc. available. Share your review. I have a 2007 Toyota Camry. Recently, while on my way home from work, which is a 50 mile drive, my gauges started going crazy. My RPM gauge went haywire, going up and down, my speedometer did the same. My brake and ABS warning lights came on, my D for drive blinked off and on, and my temperature did the same. Not knowing what the heck was going on, I instantly pulled over on the side of the freeway and looked in my owners manual, which said to take car to dealer. I started my car again and everything was back to normal. Several minutes later, same thing happened. I continued to drive home, hoping I could just make it home. As I continued to drive, I also noticed that the AC completely shuts off when the gauges go crazy. Luckily, I had put my car on cruise control so I was able to know how fast I was going. The bad part was that it was over 100 degrees and I had no AC. I did a search online for what happened to my car and found many similiar complaints and estimates for fixes to be over $2500 dollars. The ABS module alone costs about $2000. I think Toyota needs to recall these vehicles and replace the faulty ABS modules. 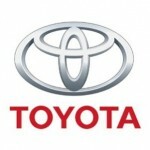 I have had the WORST service ever from T J Toyota in Potsdam, Ny, I would never buy a car from them. They are liars, crooks , cheaters and very unprofessional. My 2003 Toyota Rav4 was one of the many Toyotas I have purchased since the 1960's. The first time I asked Toyota Corporate for help with a known problem for this year vehicle they told me NO. This vehicle was 2,000 miles over the warranty(152,000). However, as a loyal Toyota customer there is no excuse for nothing being done to ehlp with the repair. This shows me that Toyota does not stand behing their cars and they do NOT care about customer loyalty. The E.C.M. is the issue and the company knows their is a problem with this model because they extended the warranty from 60,000 to 150,000 miles. This is admitting an issue that is Toyota's fault and problem. Good bye Toyota forever! Please take a note that you are about to post a public review about Toyota Motor Sales, U.S.A., Inc. corporate office on CorporateOffice.com. This review will be public, so please do not post any of your personal information on this website. If you would like to contact the corporate offices of Toyota Motor Sales, U.S.A., Inc., please use their contact information such as their phone number, website, and address listed above to contact them. However, sometimes staff from Toyota Motor Sales, U.S.A., Inc. headquarters do read the reviews on this website.